So, what are maintenance schedules? Put simply they are planned maintenance on your equipment, much like having an MOT on your vehicle, but with extra servicing thrown in! If the analogy was a car, you would regularly check tyres, oil, water, and other components to keep it running smoothly. Maintenance schedules are just that, to keep your business running efficiently and to capacity, by regular checks of your plant and equipment. And many others. Our vastly experienced engineers have national coverage in the UK, so we can plan a time and date with you to visit the business and carry out routine maintenance, all in order to help keep everything running smoothly. We won’t get under your feet and will ensure the quality of the work is to the highest standard. We are also accredited to ISO:9000 2015. Are you sure it won’t impact my business? Because our dedicated maintenance regimes are tailor-made to suit each and every one of our clients, disruption is kept to a complete minimum. We understand how keeping your plant assets running means the business is cost-effective, so we schedule maintenance checks with you according to the site and your equipment needs – we work around you! We work with all sizes of businesses and totally understand the budget constraints that can be placed upon them. It is why our team will always discuss your needs and requirements beforehand, ensuring the best performance and value for money from your scheduled maintenance package. We would much rather plan in scheduled maintenance and have your equipment running efficiently, then have it breakdown and your processes completely cease, having a more drastic knock-on effect for your budget. Is the maintenance schedule completely organised? Rest assured our maintenance schedules are totally organised, thanks to technology and a fully comprehensive service tool we use called CLIK. This tool is actually software and it ensures that all our engineers are completely up-to-date with your maintenance needs. For example, every customer, supplier, service schedule and engineer’s diary is completely tracked and fully searchable to make sure downtime is to a minimum and everybody involved knows all the stages. Additionally, all of your equipment assets will be logged onto the system using their serial numbers. Logging them in this way allows us to easily cross-reference and monitor all the historical servicing that piece of equipment has had. It can include past issues, overhaul history, and if applicable F gas compliance. In all, it’s a completely nifty piece of kit, which helps us, to help you and your business. No more waiting about to see if an engineer is going to turn up for an appointment! You can plan your processes around the maintenance schedule to make sure there is minimal disruption to your output. Are there other after sales services you provide? Yes, there are! 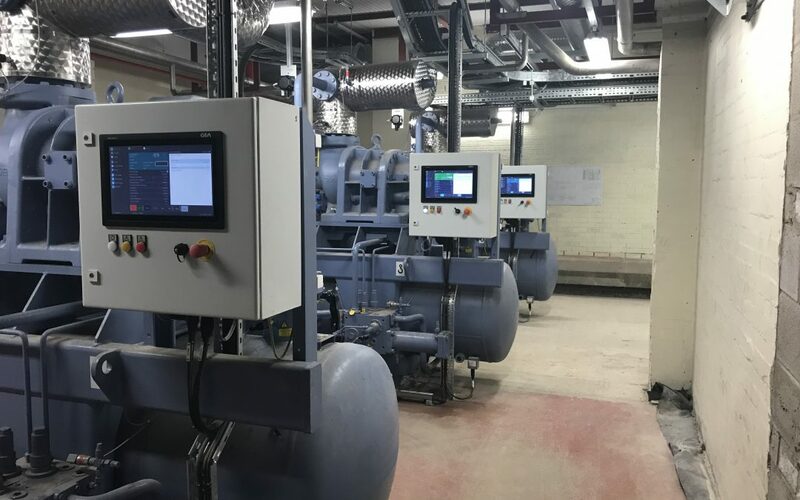 And it doesn’t need to be equipment that we have installed, because of the ongoing continuous professional training our engineers have, they are completely up-to-date on all types of equipment by different manufacturers. You can have real peace of mind that your plant assets are in the best hands. If the worst should happen and one of your systems breaks down, our engineers will visit you as soon as possible to get things up and running again, with the minimum downtime for your business. We have built our own business on being reliable and prompt when it comes to maintaining our client’s industrial refrigeration, ventilation and extraction, and commercial refrigeration systems. In all our engineers have over 200 years of experience between them, so we know a thing or two about how to keep your business plant running as efficient as possible. We don’t cut corners, when it comes to refrigeration and air conditioning systems, safety is paramount. If you are interested in setting up a maintenance schedule with us for your plant assets, no matter how big or small, please get in touch with one of the team. They will discuss everything you need and give you a clear quote, so you know exactly what the costs are upfront. Simply give us a call or send us an email and our team will be happy to discuss all of your needs.